Highly successful businesses have a great reputation for treating customers well. In other words, delivering a great customer experience (CX). In each business, the customer profiles are different, as are customer journeys and expectations – not to mention the underlying brands and products. What they have in common are a series of organizational and cultural approaches that give them competitive advantage over their competition. We’ve come up with 5 such approaches that separate the winners from the losers in terms of great CX and its role in driving optimum business success. Successful companies fear being adequate, satisfactory or just plain ‘OK’ in the eyes of their customers. This is because only the most positive customers are motivated to remain loyal. This is particularly important in highly competitive markets where customers are continually offered marginally better prices and tempting product bundles by rival providers. At least you learn something from a customer who hated their customer experience. Customers who respond with a ‘meh’ give you practically zero insight. But going beyond OK is not just a defensive play. You can play offense too. Customers who get a top experience will likely give you a top score that you can publicize. And they are many times more likely to share their experiences via their social networks. 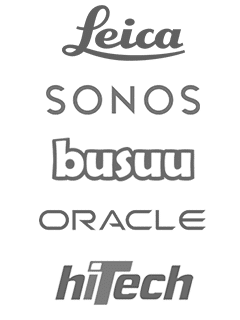 TAKE AWAY: Go way beyond OK and, pretty soon, you’ll have an army of customer ambassadors championing your brand. Use CSAT tools to monitor and measure this in real-time. This will give your market presence significantly more authenticity and credibility than through conventional ad and marketing spend. Word-of-mouth spreads fastest and widest with shareable content on social media, but pre-making clips, images and memes is not as effective as simply encouraging customers to create their own content about their experiences. 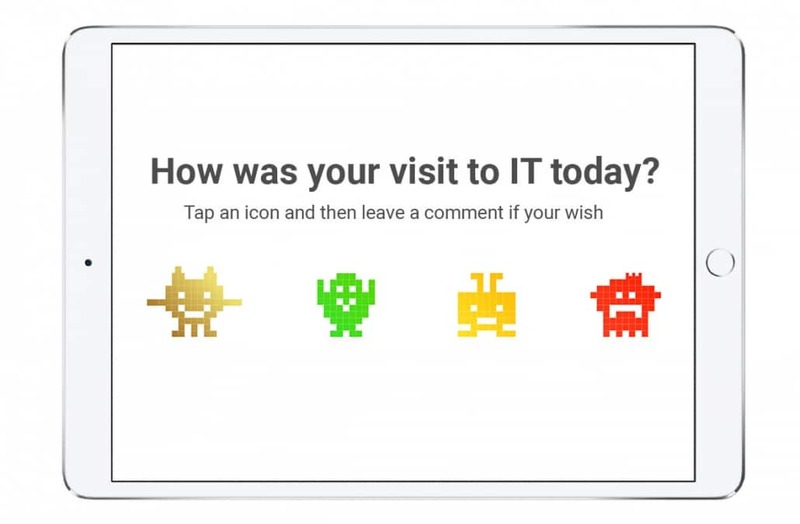 From Starbucks and Chipotle to Coca-Cola and Adidas, there are plenty of examples out there of user-generated content campaigns that relate to the customer experience. 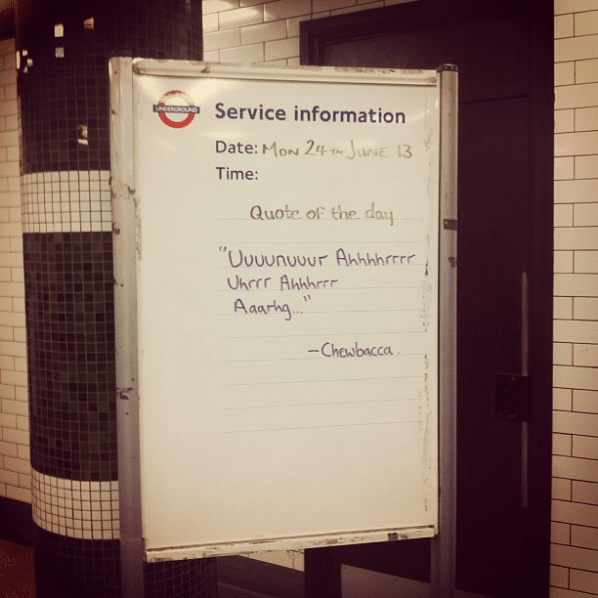 And as far as cool storytelling goes, look no further than the mischievous public information sign-writers at London Underground. Their daily output often includes inspirational or (as in this example) downright hilarious announcements – are are rapidly shared on Instagram, Twitter and Facebook. Of course, not all word-of-mouth is spread by social media. Arguably the most valuable is that which is literally passed from individual to individual in hushed whispers. 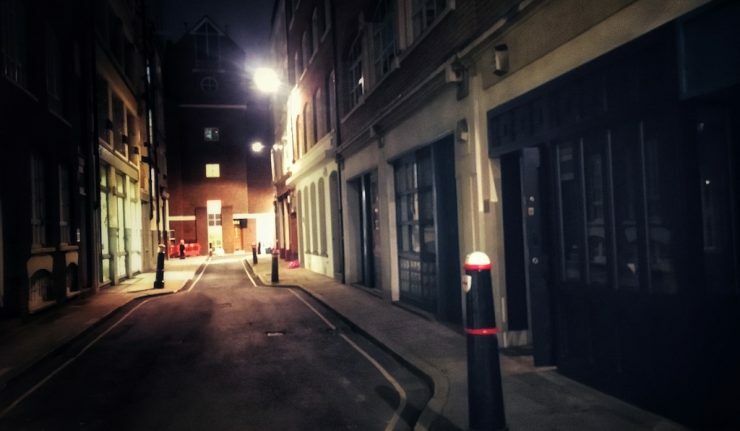 A great example of this are so-called ‘secret’ restaurants, bars and clubs that purposefully don’t advertise themselves and aren’t even visible from the street. Knowledge of where these hidden gems are, and how to gain access, is passed from person to person on a need-to-know basis. Why? Because the experience is so great that nobody wants it spoiled by crowds and queuing lines. TAKE AWAY: Word-of-mouth is extremely powerful for brands. But it’s notoriously hard to measure and even harder to generate. Start with the right CSAT tools to understand how positively customers feel so that you can get creative on helping it spread. 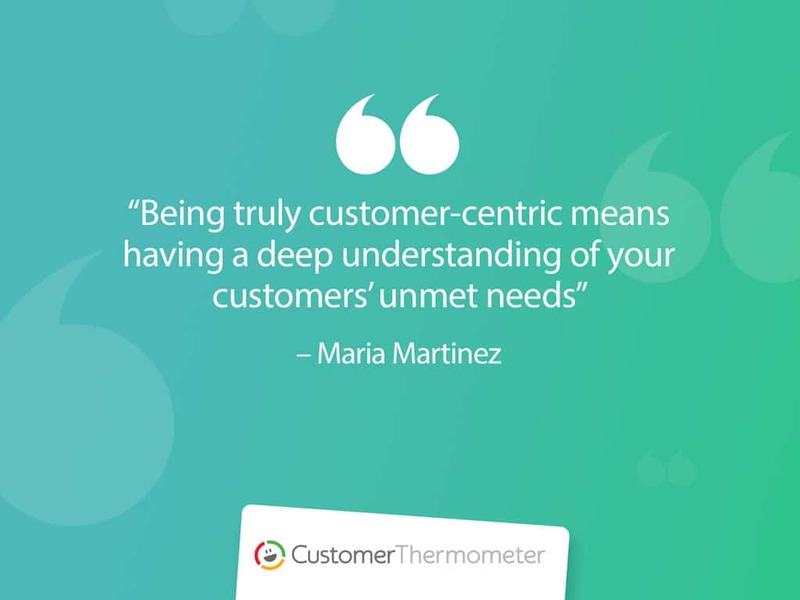 At Customer Thermometer, the senior management team all regularly have a ‘shop floor’ day where they participate in the front-line support team and speak with real customers. The golden rule of this approach is not to reveal your seniority as this could risk filtering the truth of genuine customer insights. 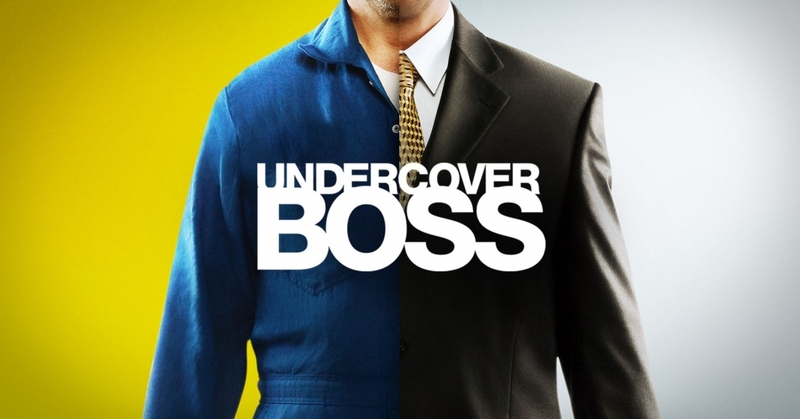 It’s a little like the Undercover Boss TV show, where CEOs go incognito to learn more about how staff and business processes. The relative anonymity of webchat and corporate social media channels is another good way of fostering senior management interaction with customers and prospects. The involvement of the most senior business executives is central to developing a lasting culture of customer-centricity. The same goal can be achieved by regularly using mystery shoppers. This tactic can also apply the ‘undercover boss’ approach so that senior decision makers gain most accurate possible perspective on the customer experience. TAKE AWAY: Good business leaders don’t settle for second-hand customer feedback. Instead, they want to see and hear it for themselves. 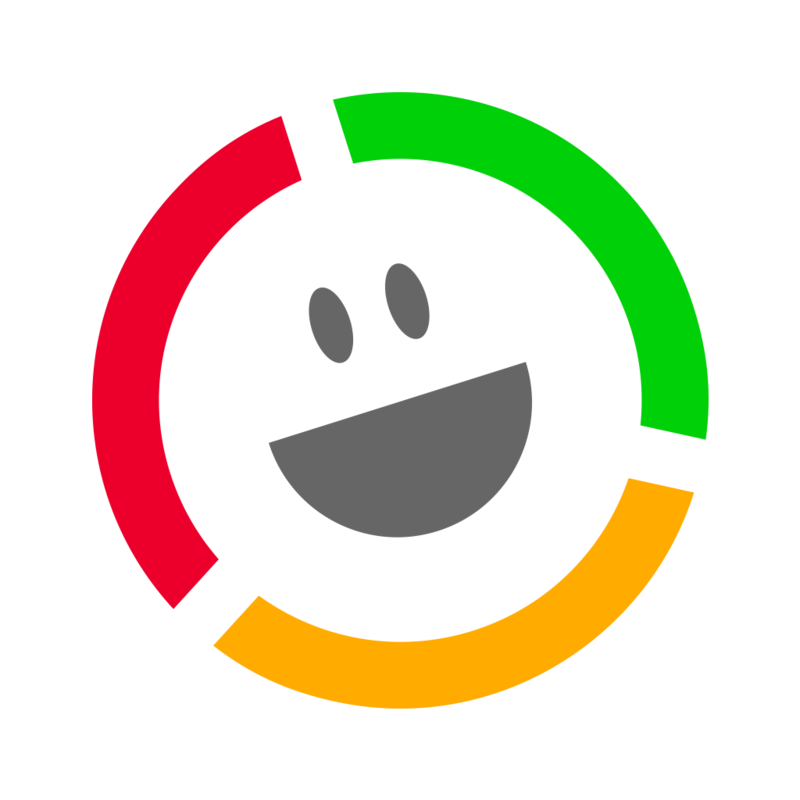 Run regular, non-obtrusive customer surveys to validate your findings so you have a baseline to compare against. To be a successful business that puts CX first, everyone on the team needs to know the standards to live up to. Rather than waste time and effort with laundry lists of do’s and don’ts, successful businesses engrain a positive service culture by laying out very simple golden rules. However, getting this right is harder than it looks. 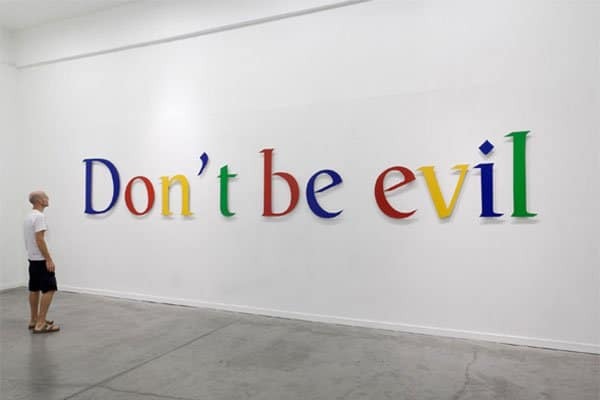 After 18 years, Google ditched its mantra and immediately got criticised for it. Why? Removing a safeguard that effectively stopped Google being evil inevitably spread the perception that this evil would be unleashed. 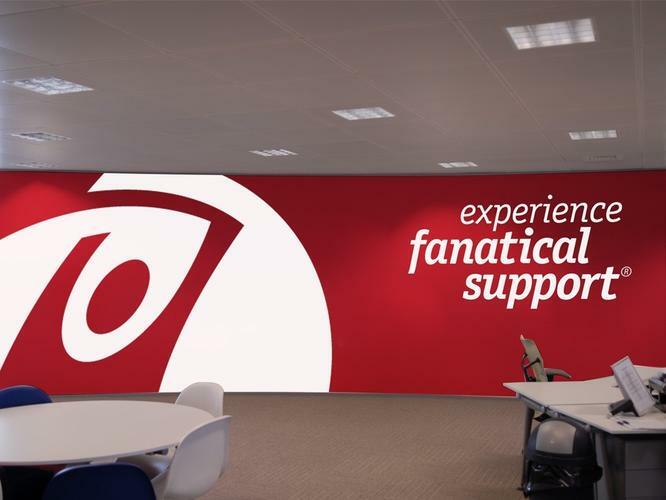 Rackspace lives by the ideal of “fanatical support.” Like any of these CX mantras, the wording is 1% marketing message and 99% a customer promise to live up to. Judging by its multiple awards for customer service, the signs are that Rackspace’s people have stepped up to the plate. TAKE AWAY: Keeping customer promises is a hallmark of successful CX businesses. Failing to support your stated CX purpose with an enabling culture for staff to go the extra mile means you quickly lose credibility and trust with customers. Customers have a good experience when they feel valued. That’s hard to do unless you are prepared to invest time and effort. Automated CRM systems can easily recognize individual customers when they make incoming contact, and businesses routinely direct their communications to use personalized greetings. But these are just table stakes and don’t impress anyone. Successful CX organizations are those that go out of their way to give a great customer service. Technology will continue to make it easier and more efficient to personalize the customer experience, but that is no substitute for humanity. Customers see through the easy stuff. TAKE AWAY: The best way to personalize your CX is to ask your customers questions and listen to what they say. You can do this efficiently and quickly with the right CSAT measurement tools, but you still have to put in the effort to act upon the insights you find.